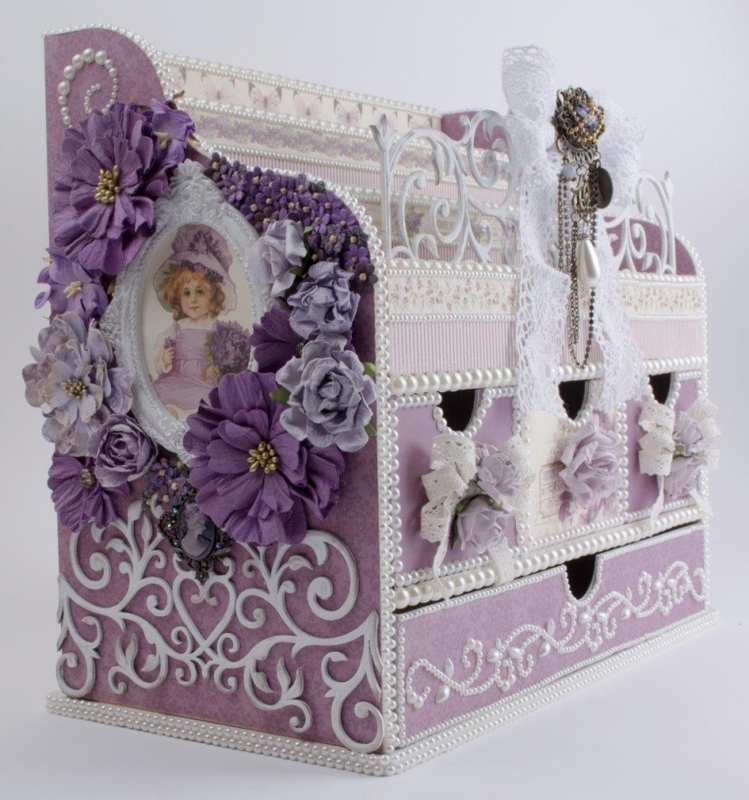 The vibrant purples of My Precious Daughter were used to cover this wood organizer. The organizer is large so I’ve included different angles. These dreamy colors make projects exciting! I hope everyone has a special day! Sou sua seguidora fiel e apaixonada por seus trabalhos. Gostaria de saber se existe alguma empresa no Brasil que importe seus materiais pois acho tudo muito lindo e gostaria de fazer alguns. Hi Debbie! 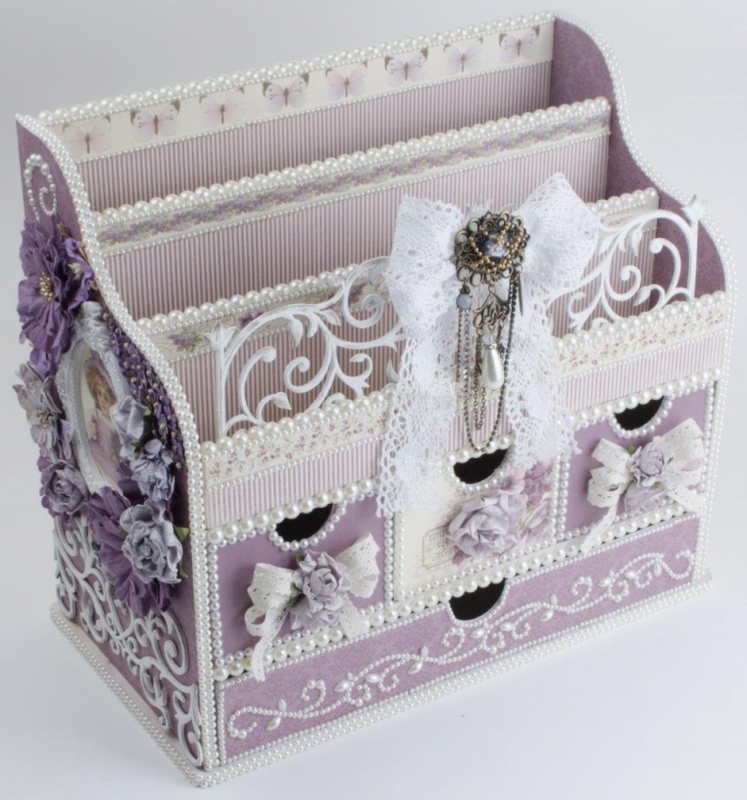 This is a KaiserCraft wood organizer that I covered with the beautiful My Precious Daughter collection. The chipboard scroll decoration is a Dusty Attic product and the other decorative elements were picked up at local craft stores. Thank you for your nice comment!